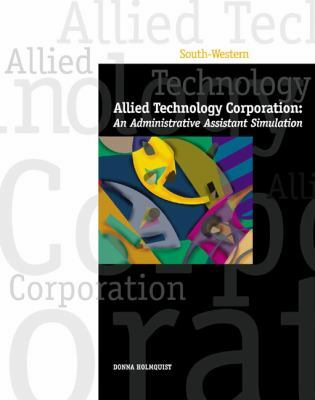 This realistic simulation challenges students to assume the responsibilities of an administrative assistant at a medium-sized technology company. Activities refine the skills and competencies necessary for effective job performance, as identified by The Secretary's Commission on Achieving Necessary Skills (SCANS) Report and the American Society for Training and Development (ASTD) Report.Holmquist, Donna is the author of 'Allied Technology Corporation Administration Assistant Simulation', published 2006 under ISBN 9780538445443 and ISBN 0538445440. Loading marketplace prices 5 copies from $141.24 How does the rental process work?